Uneven concrete patios can be unsightly and can pose a danger to your family, neighbors, and visiting friends. That old patio can now easily be transformed into a beautiful patio that will make you the envy of the neighborhood. Most repairs can be made in one day, at a price that will leave you smiling. 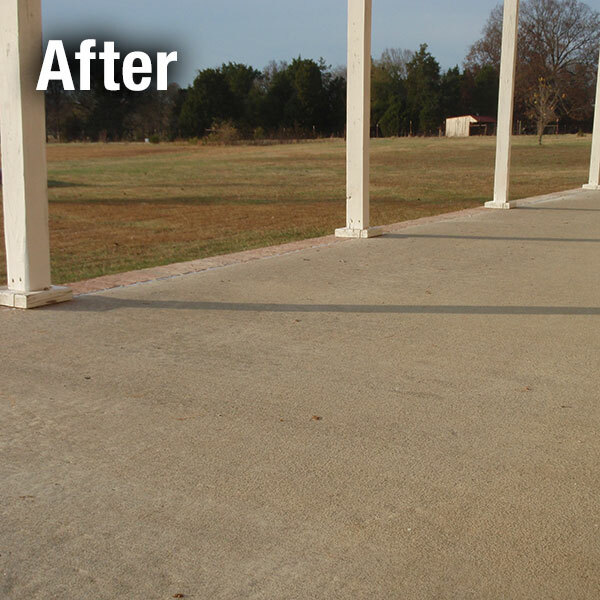 If your concrete patio or porch has become uneven, A-1 Concrete can offer effective alternatives to the expensive, tear out and re-pour method of repair. A-1 Concrete Leveling can lift that old patio, restoring it to like new condition, while stabilizing the underlying foundation. Whatever the level of damage, we have the perfect solution to solve your specific problem. Our patio repair methods are a cost effective way to improve the looks and the value of your home. A-1 Concrete has the expertise to carry out your concrete patio repair project from the beginning stages to completion. We will explain to you exactly how the job will proceed so that you will have confidence in our services and know what to expect. Leveling a concrete patio using our patented technology. Holes are drilled in strategic locations, and limestone grout (the same lime used in agriculture) is pumped beneath the slab, lifting it into place. This creates a rock-solid foundation for the concrete. Carrying trays of food, spending time with family, should be relaxing. You shouldn't have to worry about tripping on uneven concrete. 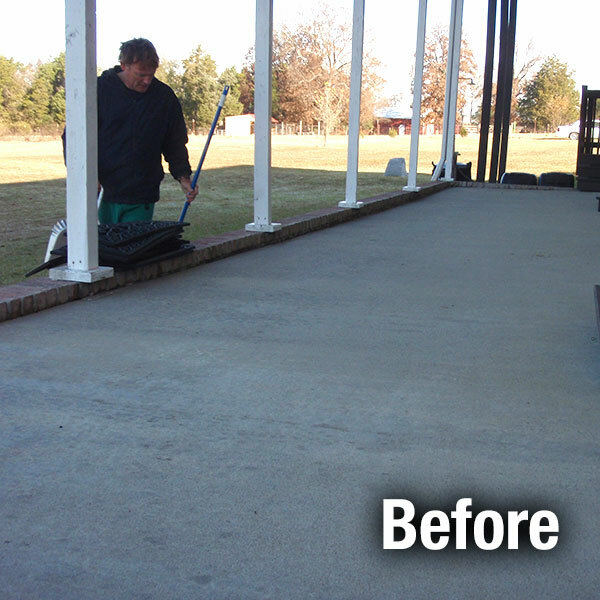 Let A-1 Level your patio back to it's original beauty.